Community College reopened for business on Tuesday, and judging by the lunch-time lines, it was a welcome addition to the campus scene. 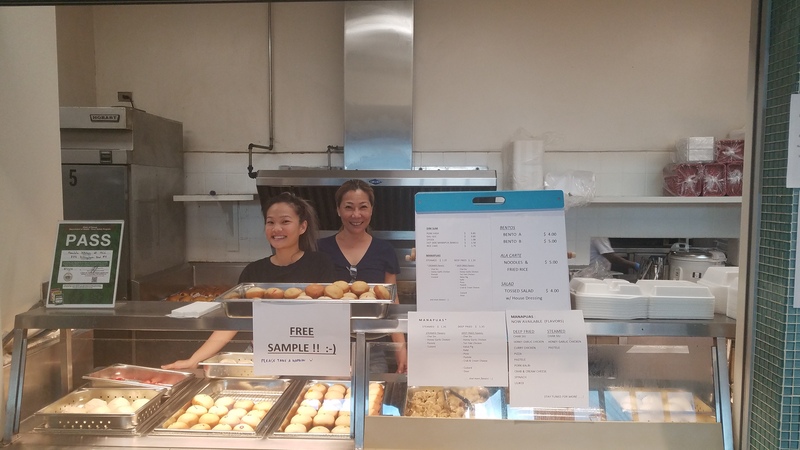 The new vendor for the cafeteria is Honolulu Kitchen, which has its original restaurant in Waipahu featuring 40 different flavors of its original deep fried manapua. In addition to the manapua, the menu bentos, plate lunches and a variety of other food choices. And the servers were super friendly. It’s good to have a full-service food supplier back on campus.